Lower range project include bathrooms. 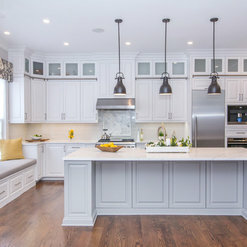 Higher range projects include full home cabinetry upgrade. 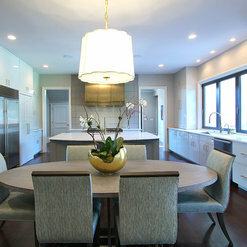 Our designer is an accredited AKBD, certified through the NKBA. We've won the "Best of Show" awards at the Southern Ideal Home Show the past four years. Architect of the homes that services and products were provided. It has been a privilege of mine to have had Walker Woodworking do many of the renovations and new custom homes I've worked on over the years. 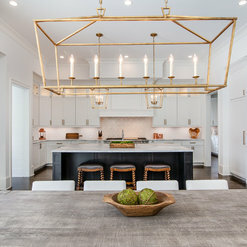 Just as my business strives for original designs, all of the casework that Walker has provided has been equal in bringing wonderfully creative, custom designs and fabrication on each of my projects . 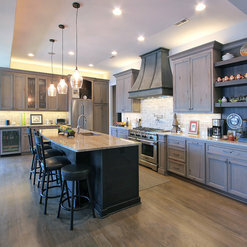 Several of the homes I've worked on that are showcased on Houzz have the distinct honor of being done by Walker. With the finest of craftsmanship and service, Walker is by far my most recommended cabinet and casework maker. We have used Walker for our master bathroom, laundry room and kitchen. In each case they did a great job, delivered a great product, on time. Our next project is to remodel my office and they will certainly be our choice. Wonderful experience from start to finish. The installers were the best- they did a great job. 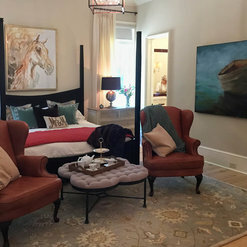 The completed room is the best in the house! Thank you so much for the nice review, Mrs. Will! It was a pleasure to work with you. Your office is absolutely stunning! The team at Walker Woodworking does an outstanding job. 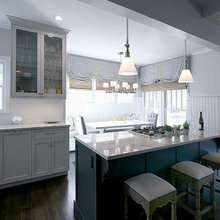 They have done two kitchens for my clients and did a great job on both. One was from the Dura Supreme line and the other was custom built. They treated both jobs equally. They were professional, timely and exceeded my expectations. They can rise to any challenge and they do amazing work. I have to say one of my favorite things about Walker Woodworking is that they are great at communicating. I highly recommend them. They are a pleasure to work with! We can't say enough about Walker Woodworking. They were a completely different experience than other custom cabinet makers we met with. Extremely professional, friendly, and easy to work with. We loved touring the workshop and the insight they provided on how the cabinets are made, and we really appreciated their work ethic. 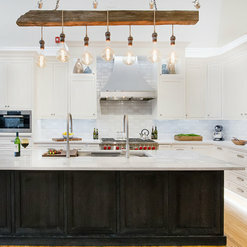 They took a massive amount of stress out of a full kitchen renovation. Every person we worked with from Walker was fabulous, from the designer to the installers, and they didn't leave the job until we were 100% happy. 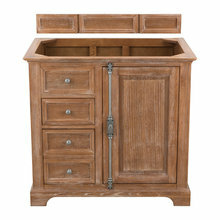 We LOVE our cabinets and would use Walker Woodworking without hesitation in the future. The Walker Woodworking product is gorgeous, but it really comes down to relationships with people that makes the difference. 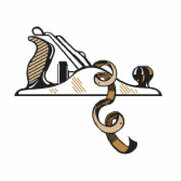 The folks at Walker Woodworking provide a world class experience for a designer or a customer. Brandon and Marty go out of their way to help make the process easy. We recently used Walker Woodworking for our master bath remodel. Using a set of photos from house, they designed custom vanities that fit the style of our new bathroom perfectly. We have more storage space than we know what to do with now! Their cabinets are gorgeous. I had an amazing experience with Walker Woodworking and would recommend them to anyone. They work well with you to make sure you have everything you want or need in a kitchen as well as staying within your budget! Thank you Brittany, your kitchen remodel project was a great project. Thanks for working with us! The Walker's and their team have exceeded expectations. We remodeled two bathrooms and they were a big part to making it all come together beautifully. I would definitely recommend them. As a matter of fact we are in the process of planning a major kitchen remodel. I can't wait to see their magic!! Dear Mr. Walker: This is to let you know that we are absolutely delighted with all of the cabinets for our new home. Not only is the quality superb but the whole experience was delightful. We enjoyed working with your design team right from the beginning. Their experience clearly showed through the many recommendations which resulted in a beautiful yet very functional design. While visiting your workshop we became convinced that we were making the right decision. This clearly was borne out by the excellent quality of the cabinets which were delivered through the professional craftsmanship of your team. The installation team was delightful to work with. Their demeanor and willingness to accommodate the changes that we requested was greatly appreciated. They were so pleasant in every way that we truly miss not having them around anymore. Your company had been recommended to us by one of your previous customers for which we are very grateful. The results speak for themselves and we highly recommend your company and team to any potential client. The results were beyond our expectation. 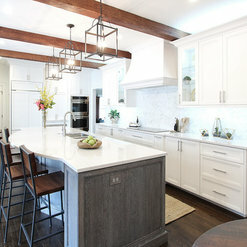 Walker Woodworking created the custom cabinets for my custom kitchen. My husband and I are beyond impressed with the quality, service and professionalism provided by Walker Woodworking. 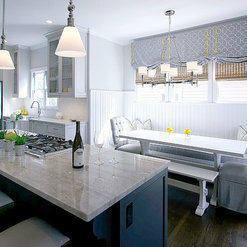 The company was highly reccomended by our Kitchen Designer and I am greatful to her for putting us in touch with them. The craftsmanship is exquisite as well as the qaulity. The attention to detail is impressive which makes my kitchen a step abpve any other I have seen. The installation was seamless and the service was top notch. Everything was completed in a timely manner and the workers were respectful, curteous and efficient. I would highly recommend Walker Woodworking in the future! Thank you for your feedback. 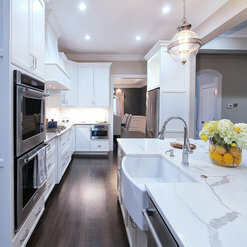 We will be putting up the pictures of your completed kitchen soon, it really turned out beautiful. We appreciate any recommendations you can send our way. Bath concept pictures to show clients. 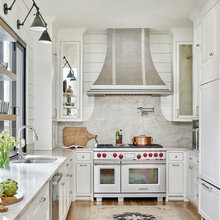 Commented: Love this style!The Island is painted Off White w/ VDB glaze, Antiqued, and Distressed. Hope this helps!